There is an explosion of information about the use of CBD oil in the treatment of a wide range of illnesses and psychological conditions suffered by cats and dogs. There is also some confusion surrounding the use of CBD oil as a treatment for pets. Collage by PoC. Raw images in public domain. Having read about the subject, there’s a lot of anecdotal evidence that CBD oil improves the lives of cats and dogs (I have read stories concerning dogs) suffering from anxiety. This appears to be one of the core treatments with respect to CBD oil. It also applies to humans. A lot of people say that it allows them to get a good night sleep when historically they have suffered from insomnia. However, you will find some people and businesses promoting CBD oil as a treatment for a huge range of pet illnesses from arthritis to pancreatitis, heart disease, kidney disease and other claims. There have been studies on animals on the impact of CBD oil as a treatment. However, these studies are for the benefit of humans. They are animal tested studies. They appear to confirm that CBD oil is a valid treatment for anxiety but, to the best of my knowledge, there are no specific studies about the effects of CBD oil on cats and dogs. If there are some studies I am yet to find them and would appreciate the input of visitors. Therefore, the first confusion about this drug is that the evidence is anecdotal and from dog and cat owners. This is not to belittle this evidence. Sometimes this form of evidence is very cogent and trustworthy. 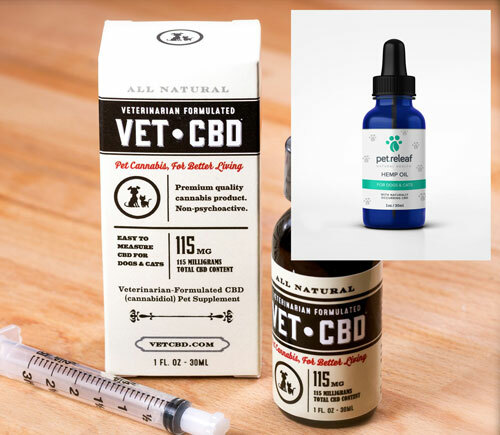 Another confusion is that in the UK, veterinarians can prescribe CBD oil but dog and cat owners cannot administer it. It is illegal for a pet owner to give their pet CBD oil as a treatment in the UK. However, there are countless online shops where people can buy CBD oil food treats and supplements for their pet. With respect to UK residents sometimes these are imported from America. I suspect that in America it is legal for pet owners to give their cats and dogs CBD oil and the Internet has created confusion. This is because the Internet has no barriers or boundaries. What is fascinating is that I’ve seen nothing to indicate that there are negative side-effects from prescribing CBD oil for a cat or dog. I wonder whether this is true. Is it such a wonder drug? Will we find that there are side effects later on when its use is more widespread? I am rather sceptical about drugs because the bottom line is that they are unnatural and alter the natural physiology and metabolism of the animal or human animal. When you do that they can be unforeseen consequences. And if you start giving CBD oil to your cat or dog because he’s anxious, it’s probably going to be a lifelong treatment. If you stop the treatment your cat or dog is liable to suffer from enhanced anxiety, worse than before. Another practical issue is that CBD oil for pets is not cheap. You have to be prepared for quite heavy expenditure over time. Are you getting good value for money? The suppliers of these treatments are cashing in on demand from cat and dog owners who are desperate to find treatments. They want speedy fixes to long-term problems that their vet has failed to sort out. This can lead overcharging. Are pet owners being ripped off? If I was thinking about giving CBD oil to my cat because he had become anxious or suffered from arthritis, I would consult with my veterinarian first. I am convinced that 90% of cat owners won’t do this and prefer to research the matter on the Internet. However, in this instance I’m not sure the Internet can provide complete and solid answers because, as mentioned, there are no conclusive studies on this new treatment for pets. I would expect a veterinarian to advise caution. I would also expect a veterinarian to quite possibly be unsure about CBD oil as a treatment. I’m thinking more about the UK when I write that. I believe that in the USA it is more widely used. This entry was posted in home treatment and tagged anxiety, cannabis, cat illnesses, CBD oil, home treatments for cats by Michael Broad. Bookmark the permalink. Watch for added ingredients. A lot of CBD oils use essential oils and those could be toxic to cats but fine for dogs. Do your own research. Years ago a friend of mine had a dog with cystic ovaries that were not found until she was spayed. The friend would occasionally smoke marijuana. The dog would get as close as possible to the friend as long as he was smoking. After a while, she would waddle over to her food bowl and empty it. She always seemed more active and less uncomfortable at those times. My assessment is that she was getting some relief from her cystic ovaries. Wow, that’s an intriguing story. Thanks Lee.